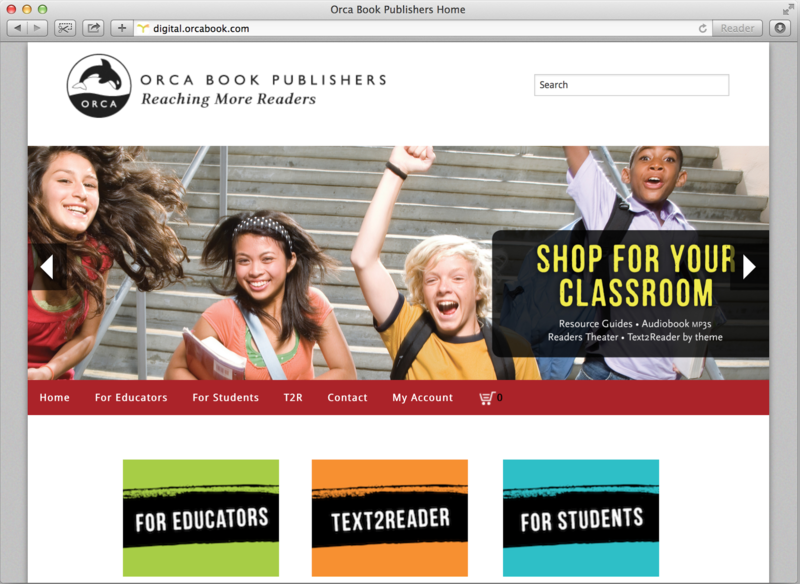 "We needed to find a way to keep all our of customers together on the same site,"
Orca, a Canadian-based publisher of award-winning books for children, teens and reluctant readers, used to maintain separate websites and e-commerce platforms for its various digital offerings. The company had its free teaching resources under its own domain, separate e-commerce stores for the U.S. and Candian booklists, and a third site supporting paid subscriptions to its Text2Reader language arts resources. Maintaining these disparate platforms was a headache and didn't provide a smooth customer experience. "We needed to find a way to keep all our of customers together on the same site," said Melanie Jeffs, Director of Digital Products at Orca. "The Tizra Platform was the best solution for our needs, providing all the features we needed -- making it possible to keep the same branding and site design across our online properties," continued Jeffs. Learn more about Orca's implementation of the Tizra Publishing Platform and what they are doing next by downloading the case study today!